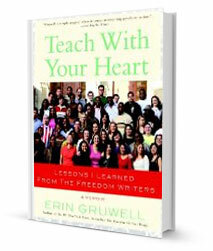 In this memoir and call to arms, Erin Gruwell, the dynamic young teacher who nurtured a remarkable group of high school students from Long Beach, California, who called themselves the Freedom Writers, picks up where The Freedom Writers Diary (and the movie “Freedom Writers”) end and catches the reader up to where they are today. Teach with Your Heart will include the Freedom Writers’ unforgettable trip to Auschwitz, where they met with Holocaust survivors; toured the attic of their beloved Anne Frank (Gruwell had the kids read Anne’s Diary); visited Bosnia with their friend Zlata Filipovic, and more. 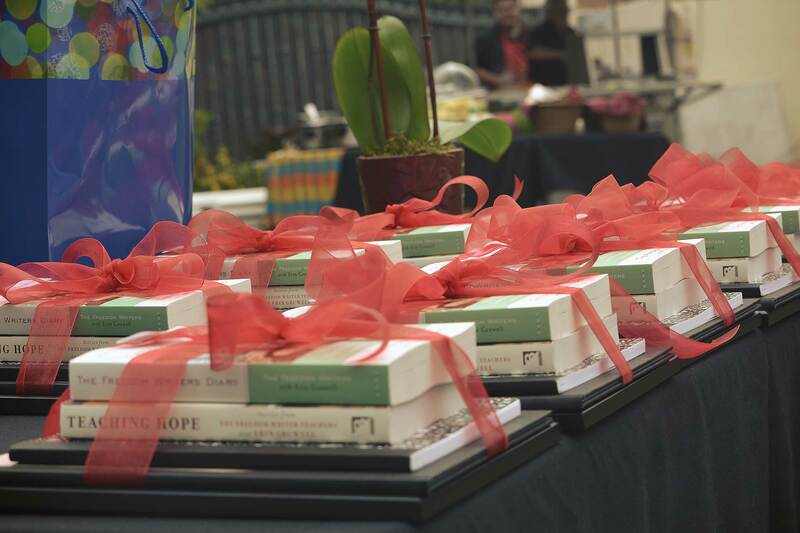 The book also includes what happened with the Freedom Writers as they made their way through college and graduation. Along the way, Gruwell includes lessons for parents and teachers about what she learned from her remarkable band of students.